The cold of winter and heat of summer can penetrate your home, causing increased power and fuel usage if your home is not insulated properly. Homes in Connecticut are in Zone 5, based on Department of Energy standards for R-values and require more insulation than homes in warmer climes. The higher the R-value, the more insulative quality the insulation has. 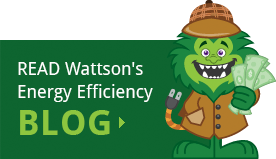 If your home does not meet or just barely meets the required R-value standard of insulation for your area, then your hard-earned money is seeping from your pocket through your ceiling, walls and floors, via higher energy bills. The type of insulation that you use will depend on where in the home it is being placed. The R-values or resistance value of insulation indicates its ability to resist the cold or heat from crossing its barrier. Each zone of the country has recommended R-values for each part of the home. Meeting these guidelines will help your home be more efficient and comfortable, year round. Zone 5 homes require R-values for attic insulation that is between R-38 and R-60. Homes with cathedral ceilings require insulation amounts to R-30 to R-38. Cavity insulation R-values for your area is R-13 to R-15 for 2×4 walls and R-19 to R-21 for 2×6 walls. Floor insulation required is R-25 to R-30. Finally yet importantly is the sheathing on the home, which should have a rating between R-2.5 and R-6. The above insulation ratings are based on a stick built home. Each area of the home requires a different method of applying insulation. However, what is most important is that you have enough insulation to keep your home warm in the winter and cool in the summer. Cellulose Insulation – Made from 85 percent recycled paper; it is treated with fire and insect retardants. With an R-value of 3.7 per inch of material, it has the highest R-value than that of blown in fiberglass and Rock wool insulation. Blown in by machine, it is best suited for attic spaces and walls. Fiberglass – the most common insulator for homes, it comes in pre-cut batts that fit snuggly between attic, wall and floor joists. It also comes in rolls that are cut to fit the area in which it is being used. The R-value rating of this material is R-3.14 per inch for of material. Most batts and rolls of fiberglass have an R-rating’s between 13 and 19, as they come in different thicknesses, so a single layer works in many applications. However, when using this product in attic areas, more than one layer will be required to meet the standard for Connecticut’s climate. Foam Insulation – Often used for exterior walls, prior to siding insulation, foam panels add an extra layer of protection to your home. With R-values from R-1.2 and up it is used in both new construction and remodels. Rock Wool – Moisture resistant and fireproof, Rock wool can be used in interior and exterior walls, ceilings and for heating and cooling ducts. With an R-value of R-3.0 to R-3.3 per inch, it has better insulative quality than fiberglass’s comparative R-value of R-2.2 to r-2.7 per inch. 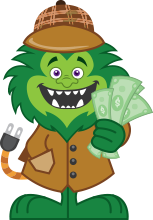 Adding insulation to your home will pay for itself in a short time if your house is under insulated. An energy audit will let you know if your home requires more insulation. 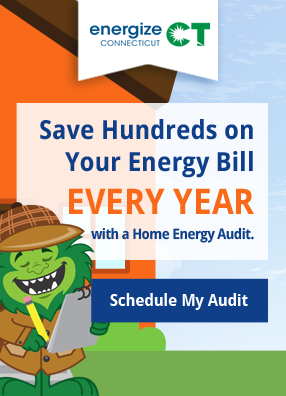 Call to schedule you Home Energy Audit today, and see how you can save money and have a more comfortable home in the process.